Fall is my favorite season. In the middle of this Texas summer, I dream of 60 degree weather days and the leaves changing colors. Yesterday, I got to take a break from the unbearable heat and be surrounded by gorgeous fall fashion at Belk Galleria Dallas. 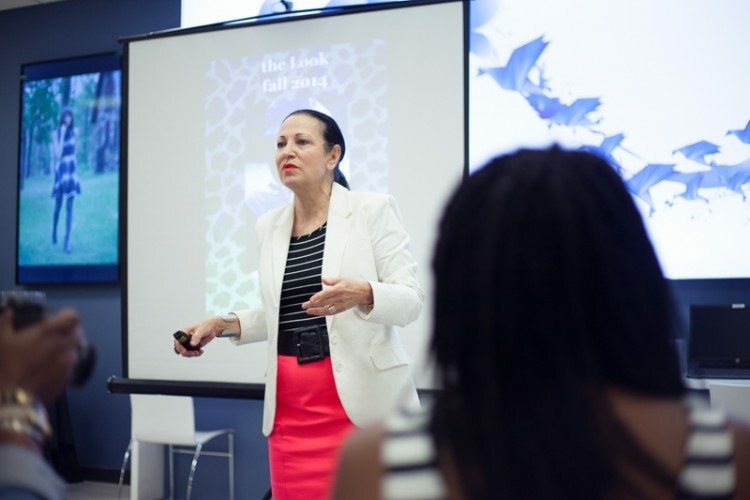 At the Belk Fall Fashion Tour hosted by Arlene Goldstein, VP of Trend Merchandising and Fashion Direction for Belk, I got a sneak peek at designer looks for the upcoming season. The “Style Statements” were handpicked by Arlene herself and helped take the guesswork out of what to wear this fall. Outfits and accessories in the looks were from designer brands found at Belk such as Trina Turk, Ralph Lauren, Vince Camuto, Dolce Vita, Sam Edelman, Pink Tartan and French Connection. Arlene’s fall fashion trends included style statements such as Complex Simplicity, His is Hers and Rebel Rebel. Complex Simplicity: New proportions, shape shifts and new age tailoring are just a few of the details that define this ultra-modern message from oversized and boxy silhouettes to exaggerated sleeves and layering. Textiles are innovative. Patterns go graphic, so count on bold contrasts. Rebel Rebel: Break out of your fashion comfort zone and celebrates a fierce fem that wants to break a few rules, in a good way! Expect some unexpected pairings: leather and lace, winter florals and British plaids, feminine silhouettes and moto detailing. A passion for plaids, chokers, bold statement necks and cuffs in burnished metals, studded and belted ankle boots, and over the knee boots are just a few of the add-ons that make this style so enticing. 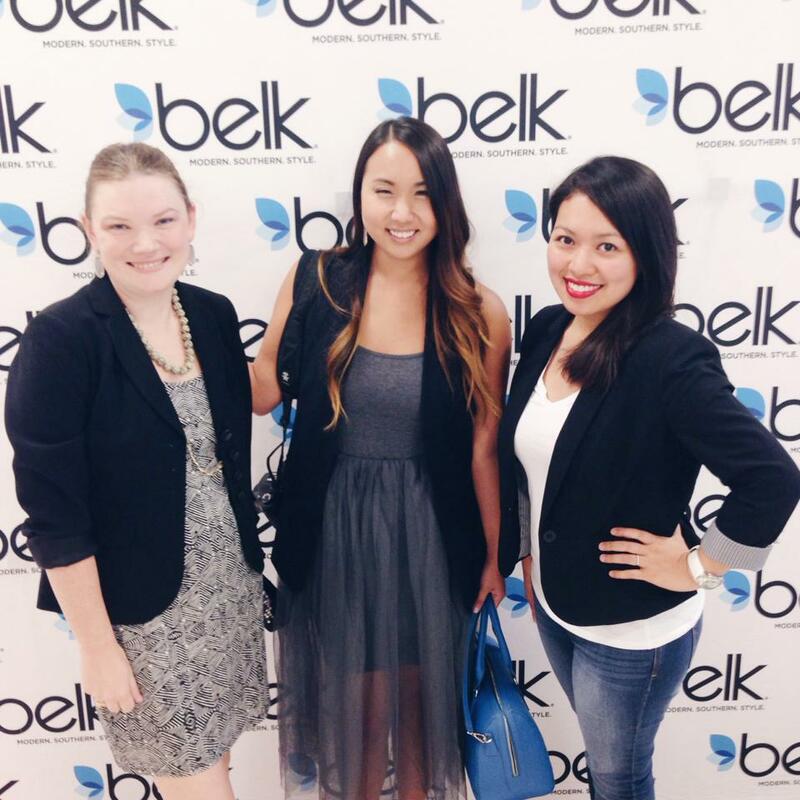 Belk gave us amazing swag bags featuring brands such as Estee Lauder, Jules B., Michael Kors and Philosophy. Christian treated me to happy hour appetizers at Grand Luxe Cafe after the event, and gave me the Jules B. statement necklace from his bag– what a sweetheart! 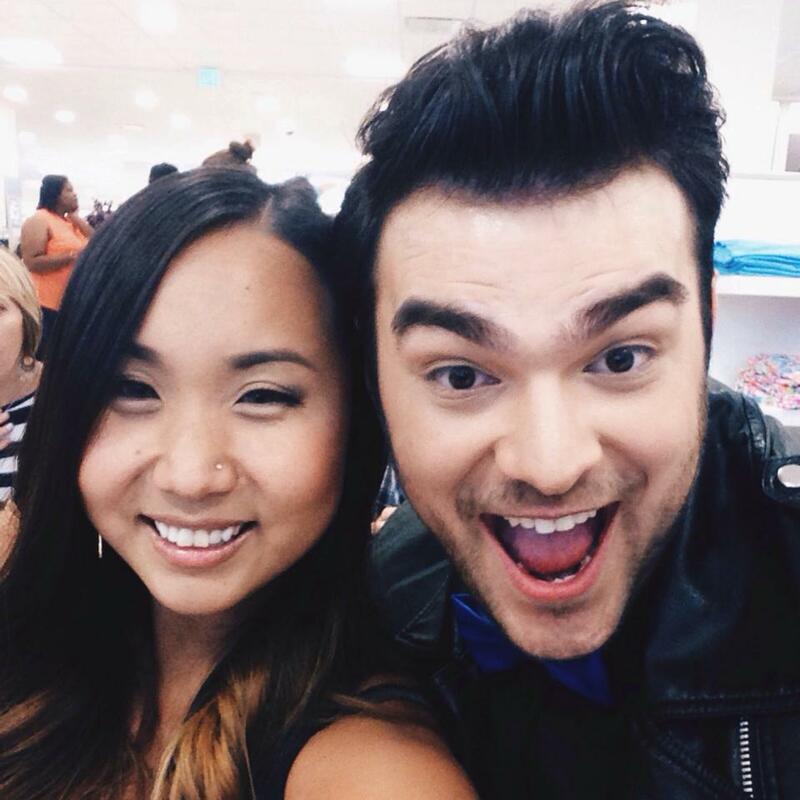 Afterwards, we both headed off to the next event– a Southwest Blogger Society meetup at Kendra Scott. More on that one next!